Felix Riehle immigrated to the town of Morris in Ripley County Indiana from Wagshurst, Baden, Germany in 1847. Today there are many Riehle family members in the Ripley County area, including Morris, Batesville and Oldenburg, who descended from this immigrant. Felix’s second cousins, once removed, Martin Riehle and Clemens Riehle moved to America from Wagshurst in 1852 and 1854, respectively, initially settling in Buffalo. After a few years, Clemens moved on to Cincinnati, OH, reportedly based in part on information received from his nearby cousin in southern Indiana. Felix and his wife Helena Eckstein had seven children, all born in Wagshurst before they immigrated to America. 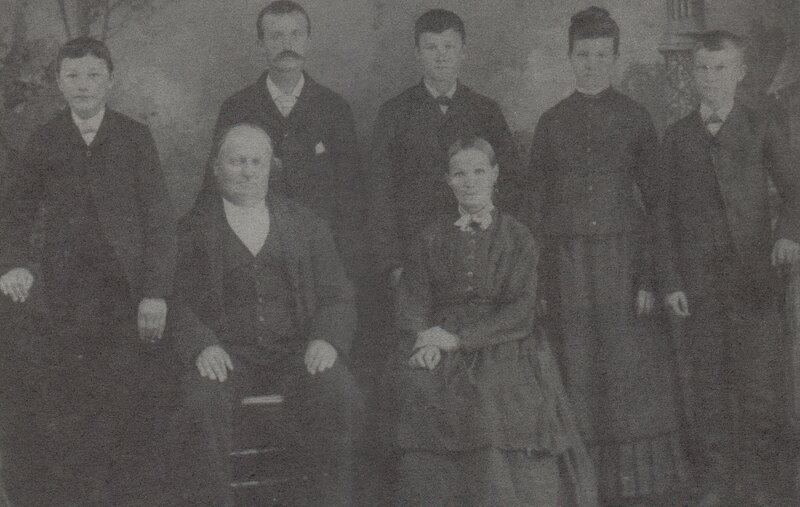 While most of his children remained in Indiana, their son Conrad moved to Spillville, Iowa and started an extended Riehle family in and around that community. Felix and Helena’s son Leonhard remained in Indiana and with his wife Magdelena Voegele, had 13 children. Included among these was a son, Andrew F. Riehle, who later moved to Menomonee Falls, Wisconsin where the Riehle family also took root.